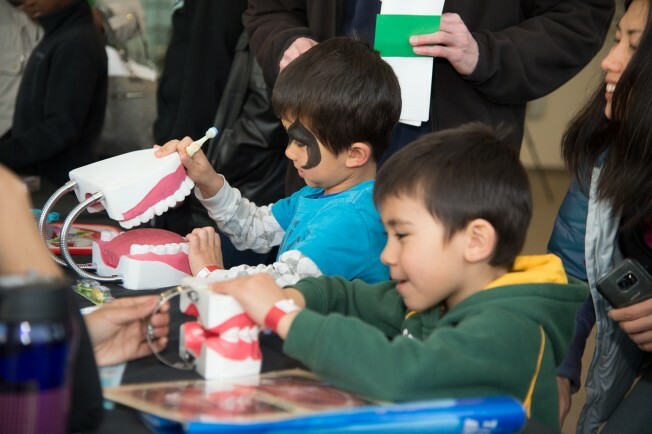 The Southern Alameda County Dental Society and University of the Pacific, Arthur A. Dugoni School of Dentistry will offer FREE dental screenings for children and adults with physical and/or mild developmental disabilities as part of a Give Special Kids A Smile event. Each patient will receive a free dental screening, a free dental health kit with toothbrush, paste, floss and other goodies, and possible treatment procedures necessary. For more information, please call 510.782.5442. The Southern Alameda County Dental Society and University of the Pacific Arthur A. Dugoni School of Dentistry will offer FREE dental screenings for children and adults with physical and/or mild developmental disabilities as part of a Give Special Kids A Smile event! Registration in advance is recommended. Click here to register. For more information, please call 510-782-5442.